Den 27. Minimalen Kortfilmfestival, Trondheim, Norway 2015. 6th International Videoart Festival of Camagüey, Cuba. 2015.
International experimental video-art festival, The Ferry Gallery, Bangkok Thailand. 2015. NoSPHERE Arts, New York 2015. A man practising Thai Chi on the streets of Hong Kong with a fountain and traffic jam in the background. A woman is devoured by her mobile phone unaware of what is happening around her. People hurrying home from the day's work. The film says something about identity; relationship between people, society and modern cities. People`s behaviour is a reflection of cities and communities of which we are part, and where personal identity is interacting with the society. In hypermodern cities where people live cramped, one must find small 'pockets' for physical activities. The contrasts between modern and traditional culture is reflected in the video work. Tai Chi symbolizes presence in body and mind. Tai Chi Chuan can be translated as' Supreme Ultimate Force ". The term" supreme ultimate "is often associated with the Chinese concept of yin-yang, the notion that one can see a dynamic duality (male / female, active / passive, dark / light, powerful / rewarding, etc.) in all things. A goal in Tai Chi is to create a calm and peaceful mind, focused on the precise execution of the exercises. It's all about balance, adjustment, fine-scale motor control, rhythm in motion, genesis by movement of the body's vital center. In Istad’s work she examines the downside of urban life and the effect that architecture and city planning has on the individual. 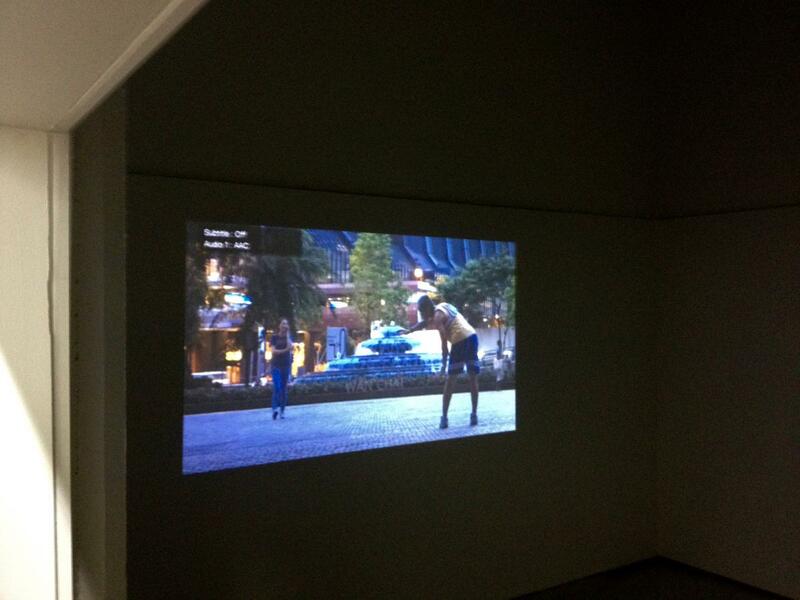 An expression of this can be seen in her video work Hong Kong-Wan Chai from 2014. In a small green park, in the midst of the chaotic traffic, a man is practicing Tai Chi. Undaunted, a woman walks back and forth engrossed in a phone call. They are both displaying an impressive ability to totally distance themselves from the noise and chaos – completely immerged in their own activities. This illustrates the adaptability of humans – an expression of an ability to see possibilities within the struggle in the crowded city of Hong Kong. Istad captures these situations with her camera.